The Clearflo contoured pop-up drain and overflow works perfectly with Tea-for-Two 5.5-foot baths and whirlpools. Your bath will be even more relaxing because you can depend on solid-brass construction for durability and reliability. KOHLER finishes resist corrosion and tarnishing, exceeding industry durability standards over two times. And you have installation flexibility with above- or through-the-floor options. 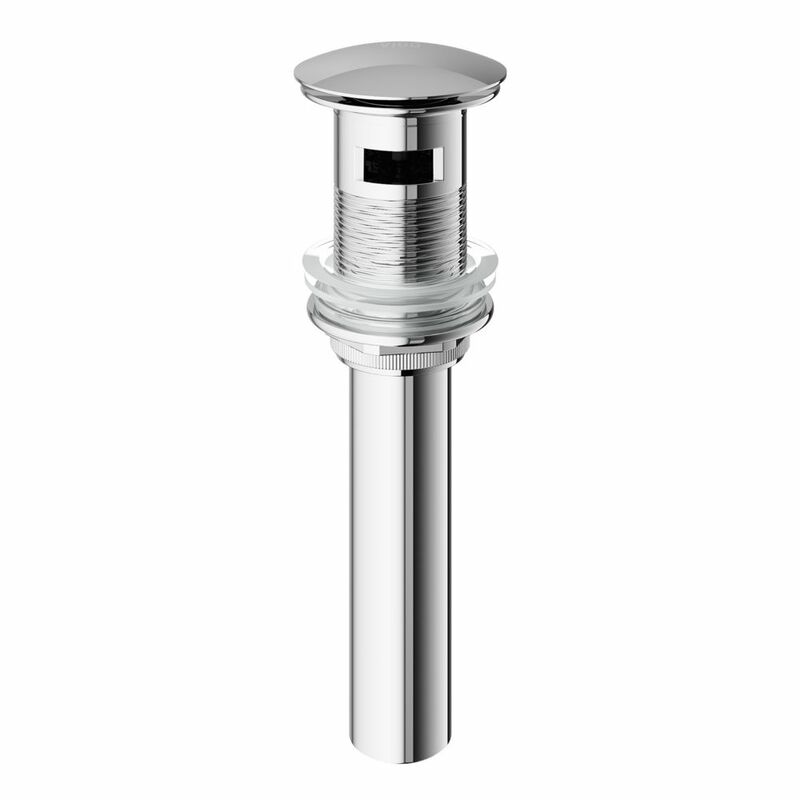 Bathroom Sink Pop-Up Drain with Overflow in Chrome is rated 4.4 out of 5 by 52. Rated 5 out of 5 by Tb from It match well with Vigo vessel sink. The looks is completed along with how the actual drain fits ... It match well with Vigo vessel sink. The looks is completed along with how the actual drain fits perfect. Rated 5 out of 5 by cw from Very pretty and compliments my Vigo faucet and new sink. It's diameter is larger than envisioned ... Very pretty and compliments my Vigo faucet and new sink. It's diameter is larger than envisioned but looks good. The installation needs to be precise - the top screws on and the logo was sideways the first time. I love how easy it is to use, I'll never go back to traditional drain plugs again. Rated 1 out of 5 by Tony from While the drain does look really good and supposedly a... While the drain does look really good and supposedly a quality piece... like many reviewers said... it leaks like crazy! I tried to seal it up with plumbers tape and putty but that didn’t do the trick. I was going to use silicone but I shouldn’t cause it’s not recommended. The seal seems bad.